Will the energy efficiency startup’s building materials businesses survive its transition to software and financing? Serious Energy may be making a wise move by shifting from green building materials to software and financing for energy efficiency. But that move isn’t coming without its share of dashed promises. That’s the news from Chicago, where Serious has decided to close its green window factory, which it rescued from closing in 2008. About 46 workers will lose their jobs. While Serious said it will keep making its efficient windows at plants in Pennsylvania and Colorado, it also painted a pretty bleak picture of the business at present. “Ongoing economic challenges in construction and building products, collapse in demand for window products, difficulty in obtaining favorable lease terms, high leasing and utility costs and taxes, and a range of other factors unrelated to labor costs, have compelled Serious to cease production,” the Sunnyvale, Calif.-based startup said in its announcement last week. Serious has raised more than $140 million in VC investment to pursue a shifting building energy strategy. Last week’s plant closure marks the second time the startup’s green building materials plans have faltered. Production of its first product, a drywall made with less energy and thus fewer environmental impacts, has been severely scaled back in favor of its windows business. 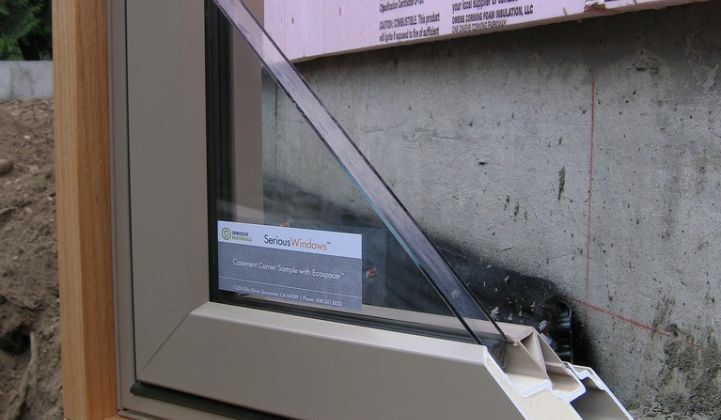 Since then, Serious installed its windows in the Empire State Building and also purchased the Chicago plant and another window factory in Vandergrift, Pa. from bankrupt owner Jancor Companies, both for undisclosed sums. But Serious’s press release made pretty clear that the windows business hasn’t been going well either. It’s a common story in the green building materials sector, where startups have struggled to compete in a low-margin, high-energy business dominated by giants in the field. That led Serious Energy to its second major shift in 2010, away from materials and into building management from the IT side. To get there, Serious bought building management software vendor Valence Energy in 2008, and added building energy management system maker Agilewaves in November, both for undisclosed sums. It also hired John Pitcher, founder of rival efficiency software firm SCIEnergy, in June, leading SCI to sue Serious for alleged misappropriation of trade secrets and other causes of action. Serious also launched an energy efficiency retrofit financing business called Serious Capital in November, promising no-money-down retrofits for building owners. The big question for Serious Capital is whether a startup can get the backing to meet its stated goal of $2 billion in potential project financing. Serious is getting a start with a pledge to drum up $100 million in retrofit business under the White House’s $4 billion green buildings challenge program. Still, energy services startups are going to need to partner with giants like Honeywell, Johnson Controls, Siemens and Schneider Electric to capture whatever “smart” capabilities exist in today’s installed building management systems, as well as to capture those giants’ strong lines of business. 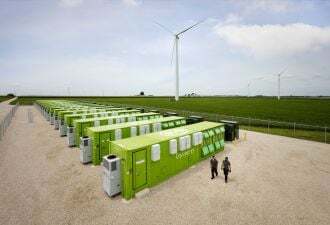 We’ve seen a few partnerships, such as Viridity’s commercial demand response play with ConEd Solutions, tackling the challenge of connecting utility smart grid and demand response programs as well. At the same time, startups like Serious, SCIEnergy, SkyFoundry, BuildingIQ and other building energy companies are seeing their features -- energy analysis, fault detection, continuous commissioning and automated power optimization features and the like -- being emulated by software platforms from the energy services giants themselves. These firms have in turn bought their share of software startups to get where they’re going, of course. Acquisitions have boomed in building energy management, with giants like IBM and Cisco getting involved as well. Serious has always remained fairly adamant about its intentions to grow to scale under its own power. Whether or not it can keep its building materials business alive as it shifts focus is an open question. While energy efficiency IT is a less cost-intensive business, and thus is likely more attractive to venture capital investors, it’s still a nascent field. And, of course, opening up new financing models is the key to realizing the commercial building sector’s energy efficiency potential. We’ll see if Serious can compete in all three fields.